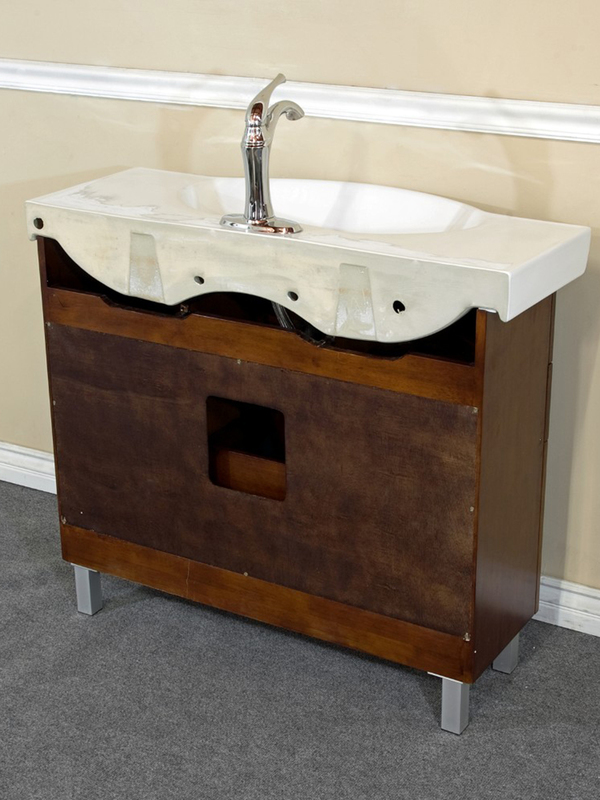 It's easy to see how the Masaya Single Bath Vanity will quickly transform the overall style of your bathroom. 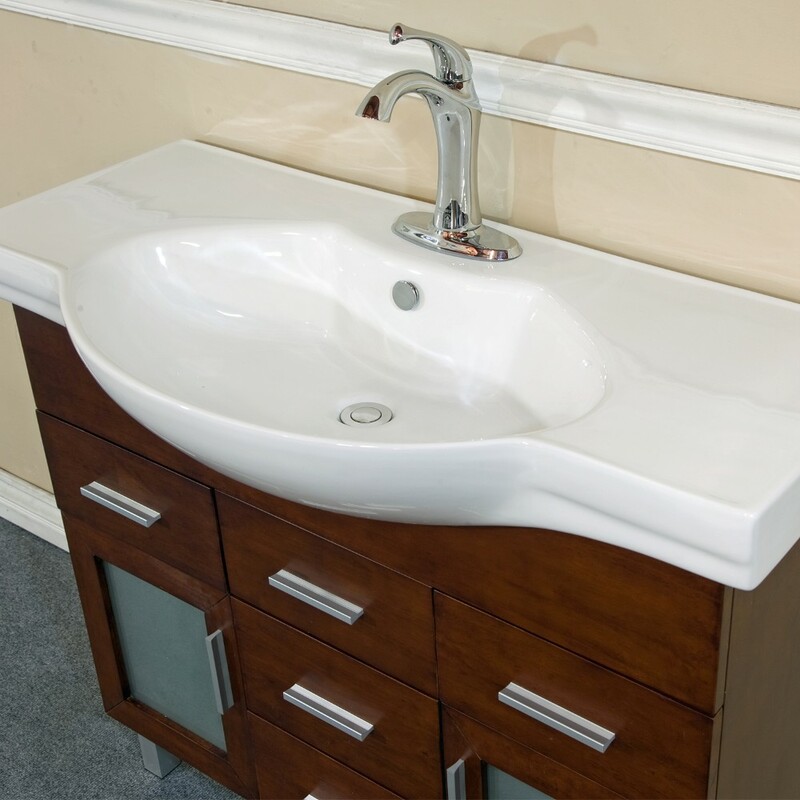 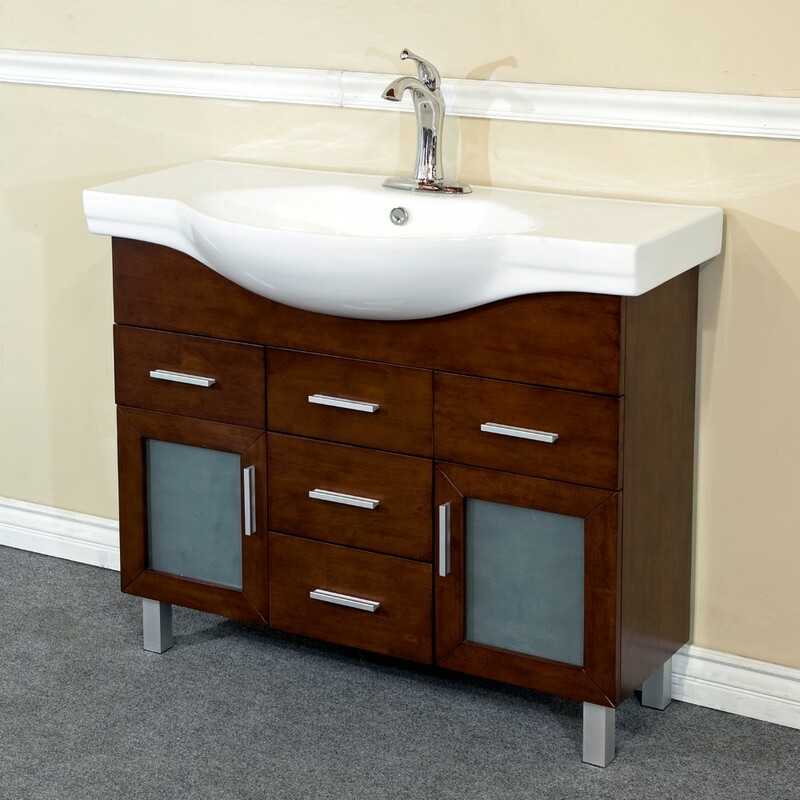 With its warm Walnut finish and beautiful ceramic integrated sink top, you won't find a more subtly beautiful vanity out there. 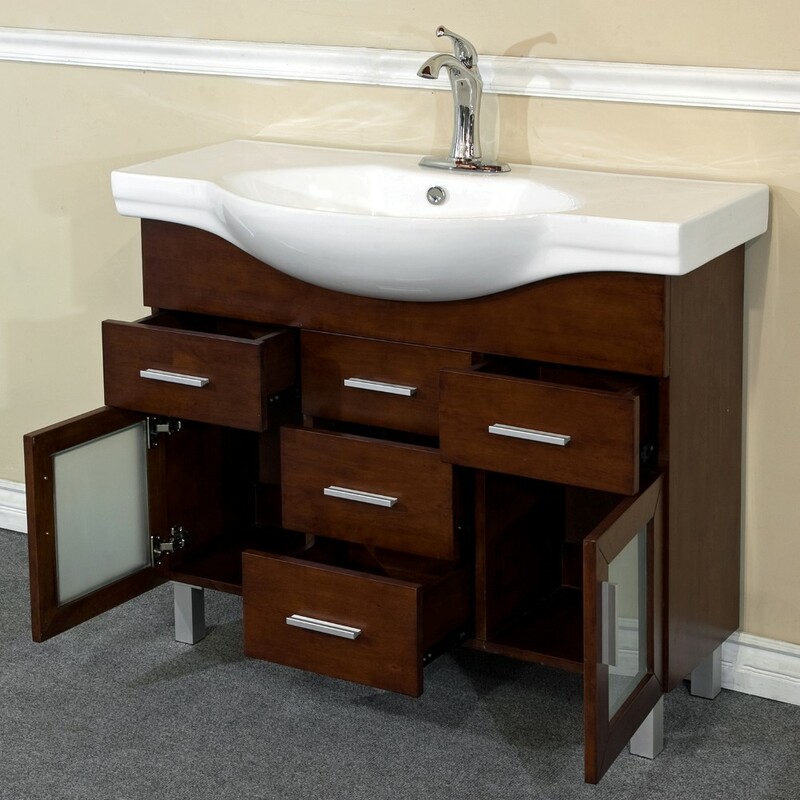 This vanity features two single-door cabinets with soft-closing hinges and frosted glass fronts, along with five functional drawers, giving you plenty of storage space for all your bathroom necessities. 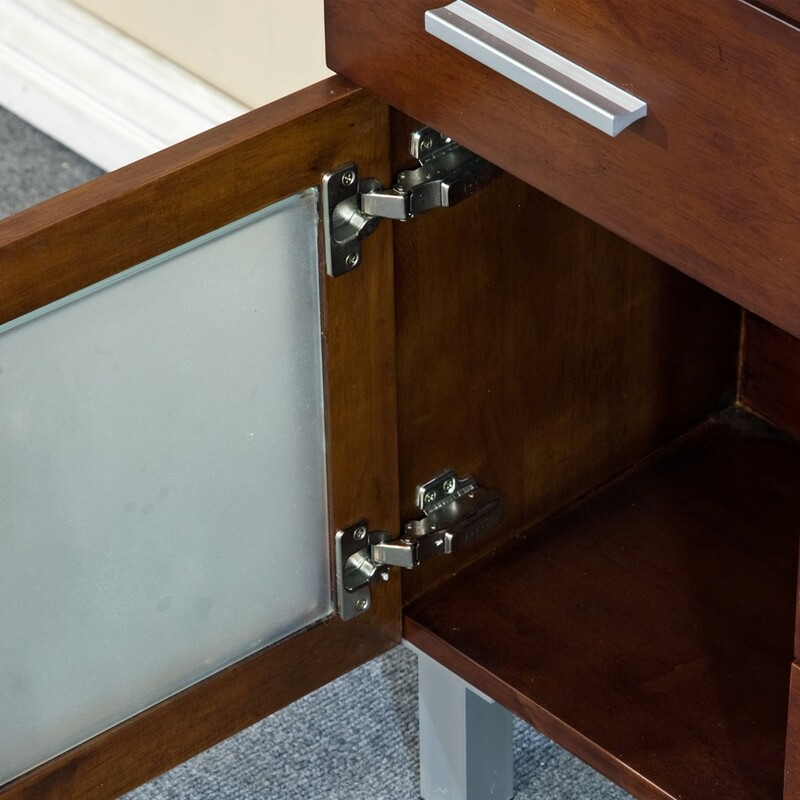 Brushed Nickel handles adorn each of its cabinet door and drawer fronts for an attractive contrast to its cabinet finish.